big ben and the parliament in london. I saw "V for Vendetta" last night and although it wasn't nearly as good as the book, it was still enjoyable. 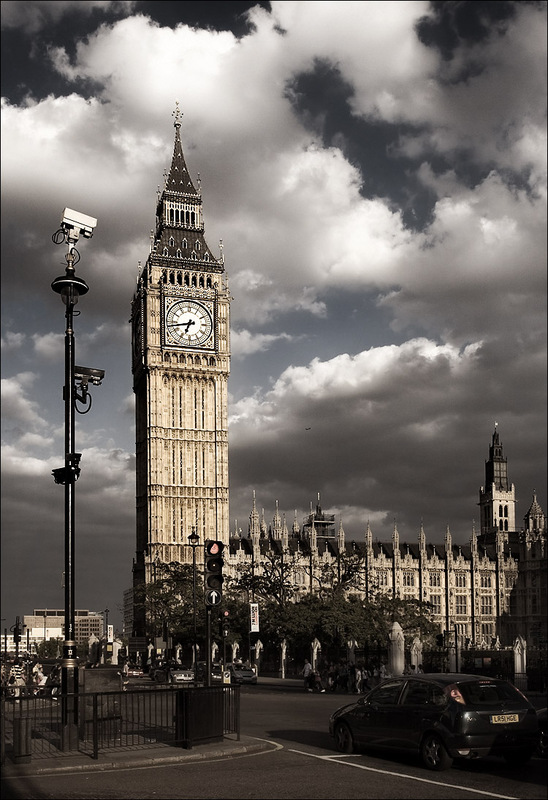 there is a scene in the movie that shows a surveillance camera watching the parliament building in london which reminded of the similar shots I took there. I posted a closer shot earlier but I played with the colours differently here.